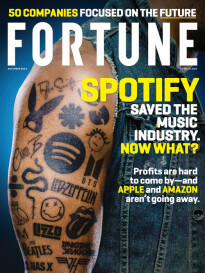 FORTUNE — The trouble starts with who gets hired. In most companies, an essential criterion is “fit” — that is, how well a candidate would blend in with the existing culture. Then, top management asks everyone for ideas, sometimes even setting up contests to crown winners. And of course, the best way to spur people on to greater achievement is to give them plenty of pats on the back for a job well done. Well, actually, no. According to Stephen Shapiro, you should be recruiting iconoclasts who don’t fit the existing mold, including “people you don’t like,” because innovation depends on divergent points of view. Asking for ideas is fine if done correctly (hint: it helps to ask the right questions), but too often what companies get is a welter of impractical suggestions that just clutter up the system. And by the way, stop congratulating employees for doing their jobs. “When you recognize people for doing what they were hired to do, it reinforces a culture where the status quo is good enough,” Shapiro says — the kiss of death for any enterprise trying to stay ahead of the game. Shapiro, who has advised clients like Staples (SPLS), General Electric (ge), and the U.S. Air Force on how to innovate, has now distilled his methods into a book called Best Practices Are Stupid: 40 Ways to Out-Innovate the Competition. Refreshingly free of consultantese, it’s loaded with succinct, down-to-earth case studies. You might wonder, for instance, what’s wrong with running contests that offer a prize for the best employee suggestion. After all, it’s been done by Cisco (csco), LG Electronics, and GE. But, if you’ve already decided in advance that there is going to be a winner, you risk ending up with a “best” idea that is impressive in theory but falls short of solving a real, pressing problem. A smarter approach, by Shapiro’s lights, is the “bounty hunter” technique that Netflix (nflx) used to improve its video recommendation engine: The company offered to pay $1 million to anyone — inside or outside its walls — who could develop practical solutions to a specific set of engineering challenges. It took three years, but a 7-person team of mathematicians and computer scientists from the U.S., Austria, Canada, and Israel came up with an algorithm that worked. 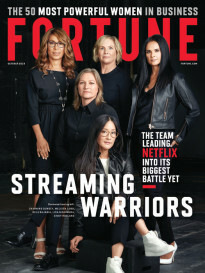 The $1 million “bounty” was a bargain, Shapiro notes, since the new engine boosted sales by tens of millions — and the company paid the prize money only after the winners proved the technology met Netflix’s goals. For many managers, the toughest part of Shapiro’s advice might well be the part about deliberately hiring people who think so differently from their teammates as to be downright annoying. It’s human nature, the author acknowledges, to want to be around people who are like ourselves. Even so, Shapiro insists, any team that hopes to come up with truly fresh and useful ideas has to include at least one member from each of four distinct personality types. Curious about how your team stacks up? You can find out by asking your colleagues to take a quick assessment test, downloadable from Shapiro’s web site.